A woman was found dead early Sunday morning in East Oakland, according to police. Around 1:05 a.m., officers responded to a report of a victim suffering from a gunshot wound in the 10000 block of MacArthur Boulevard, police said. The victim was pronounced dead at the scene, according to police. No suspects were identified and no arrest was made. The identity of the victim was not released. 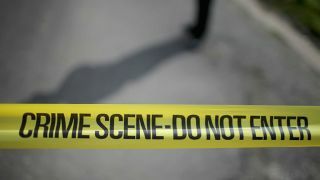 Hours earlier, on Saturday evening, a drive-by shooting had injured one person near the city's Fruitvale neighborhood. Around 8:05 p.m., officers responded to a report of a shooting in the 2400 block of 35th Avenue, police said. Upon arrival, they learned four male victims had been shot at by at least four other people from inside a vehicle. One of the victims suffered a graze wound and was taken to a hospital, according to police. Officers were unable to locate the suspects and did not make an arrest. Anyone with information about any of the shootings is encouraged to call the police's Crime Stoppers line at (510) 777-8572. Callers have the option of remaining anonymous.